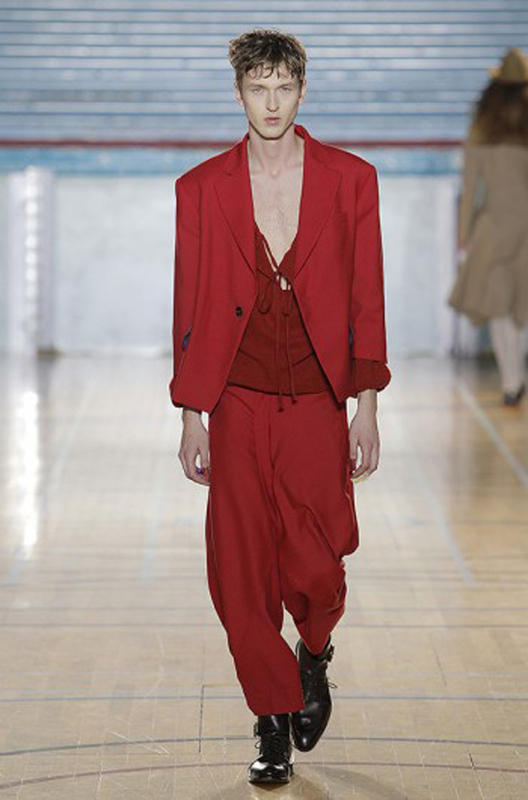 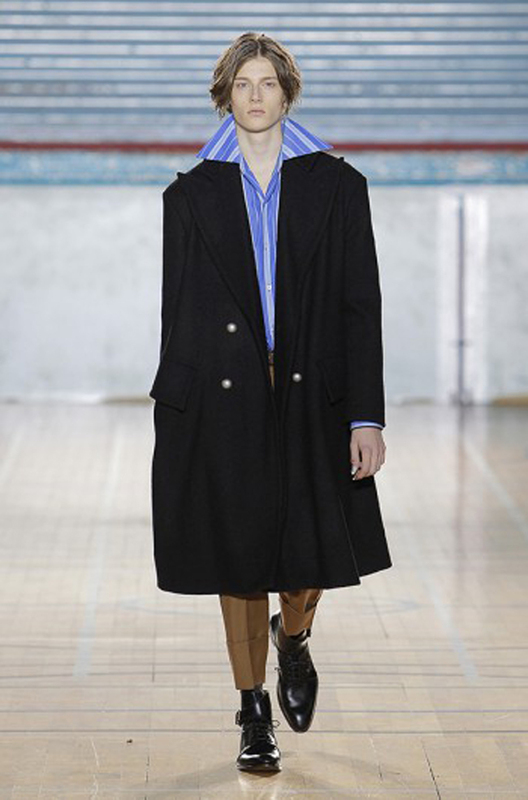 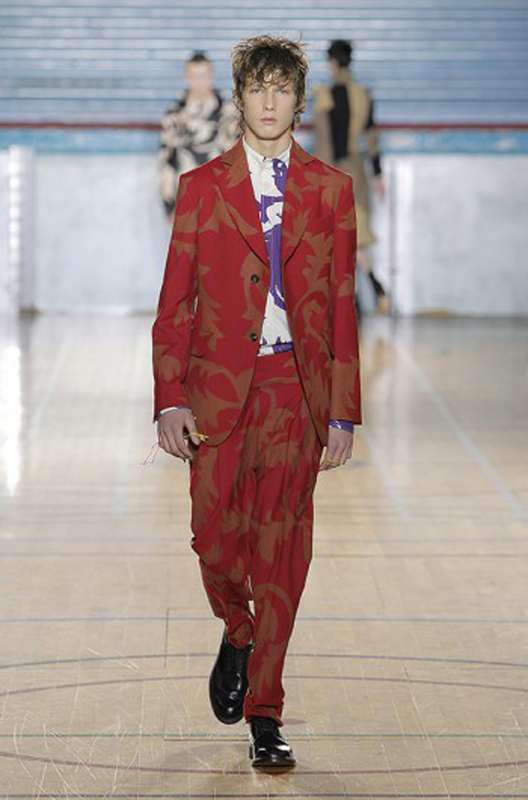 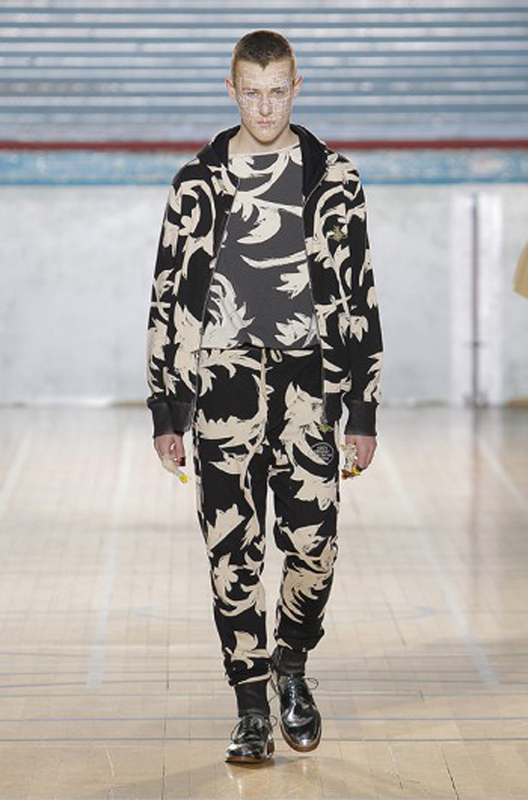 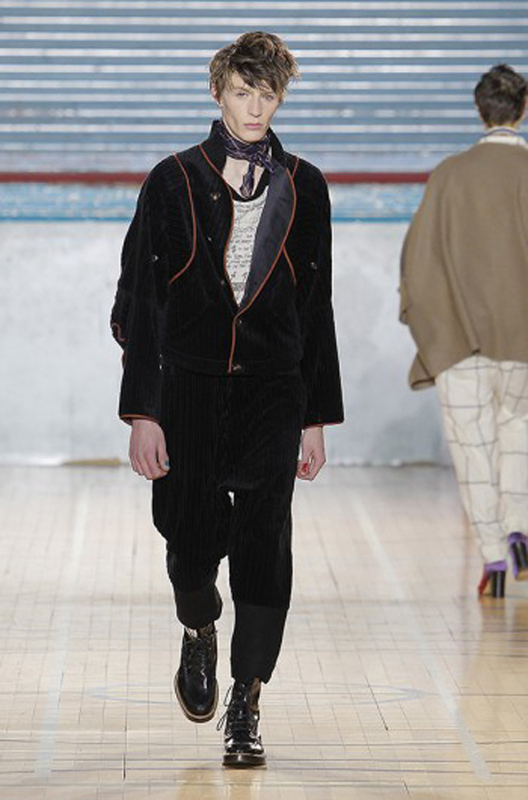 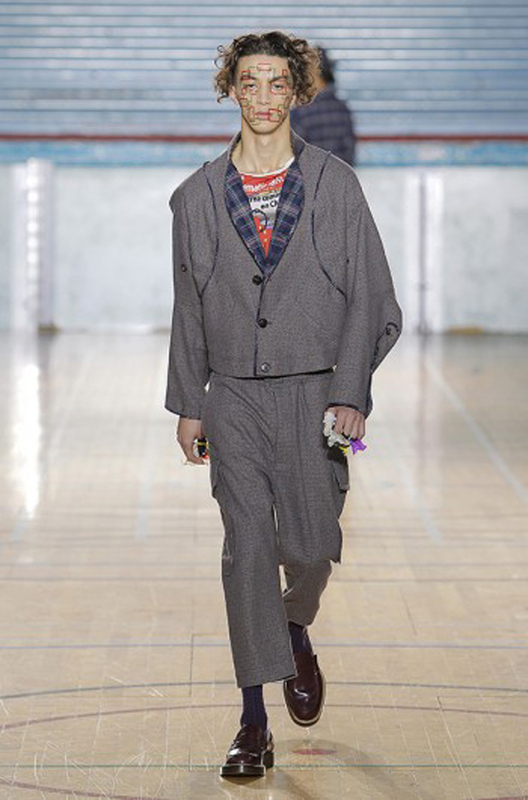 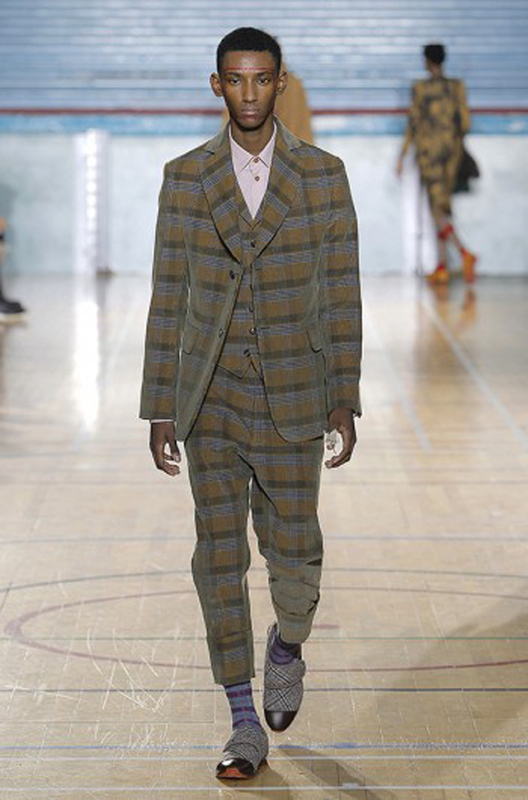 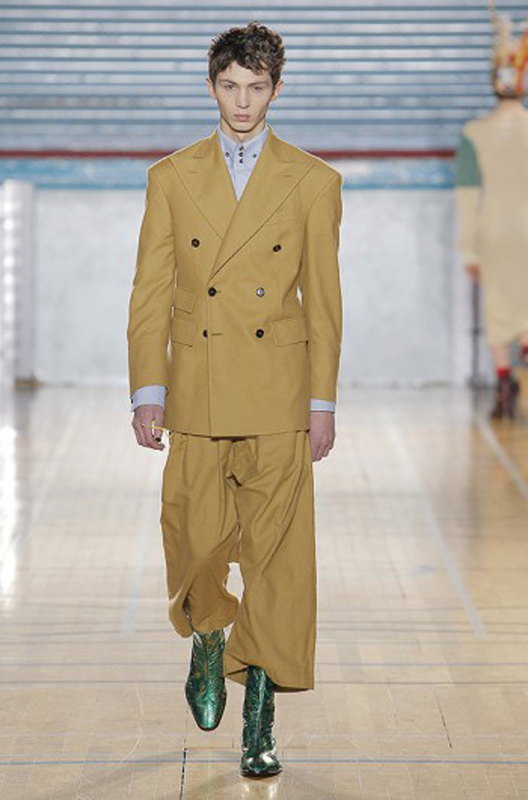 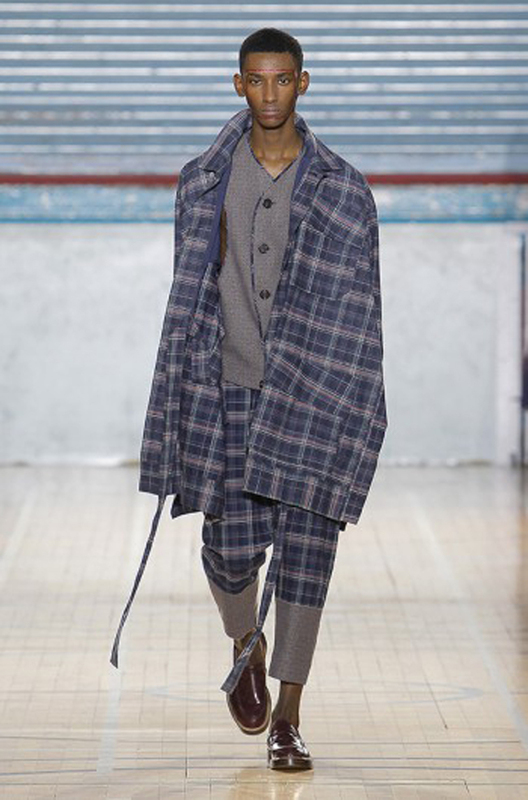 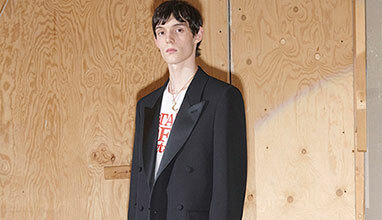 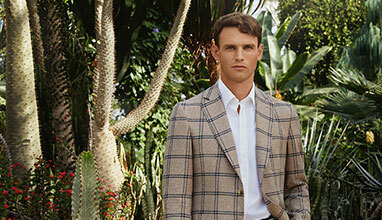 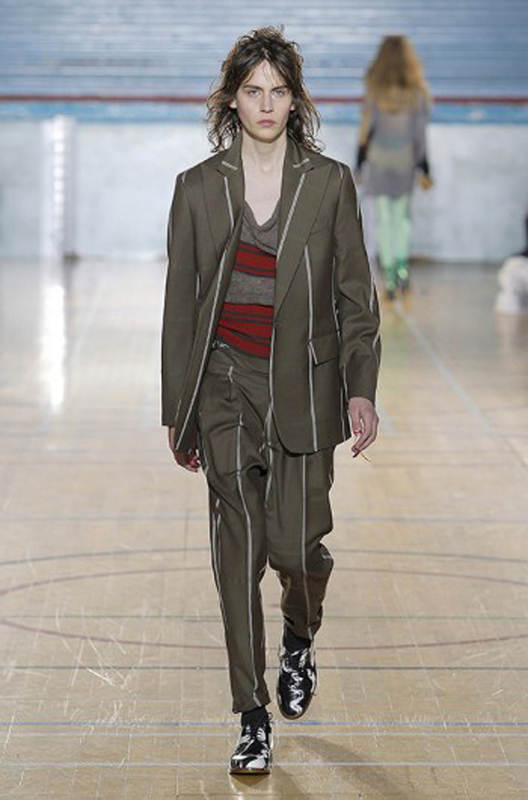 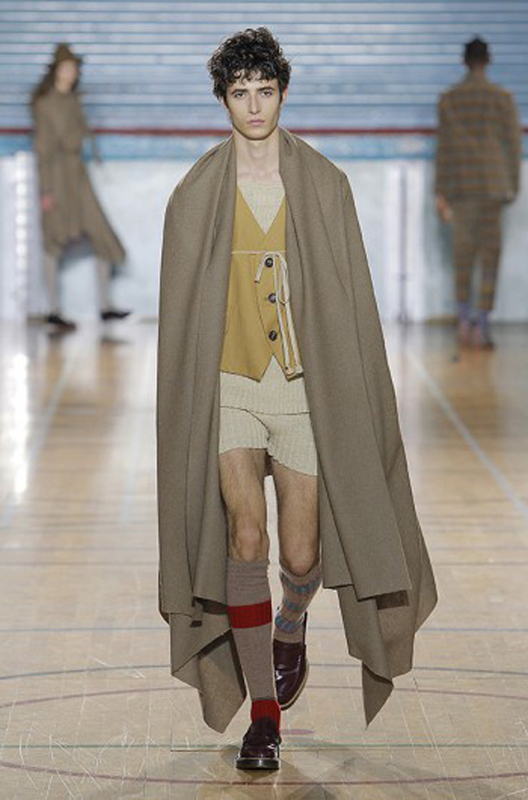 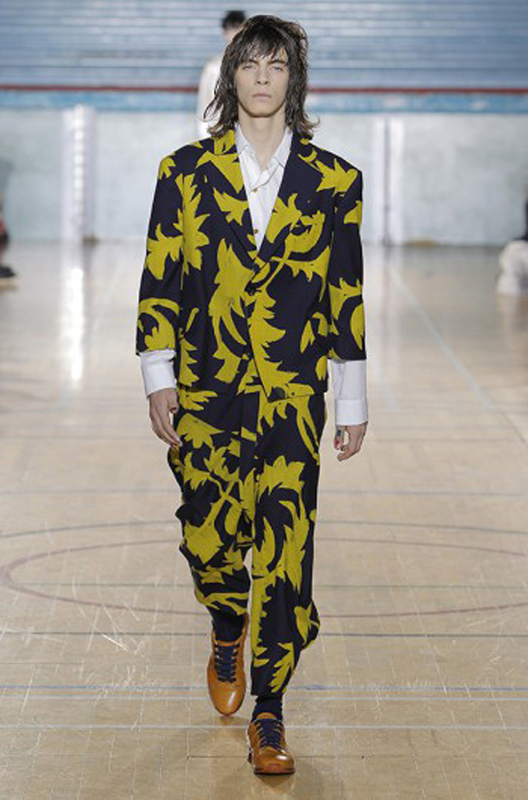 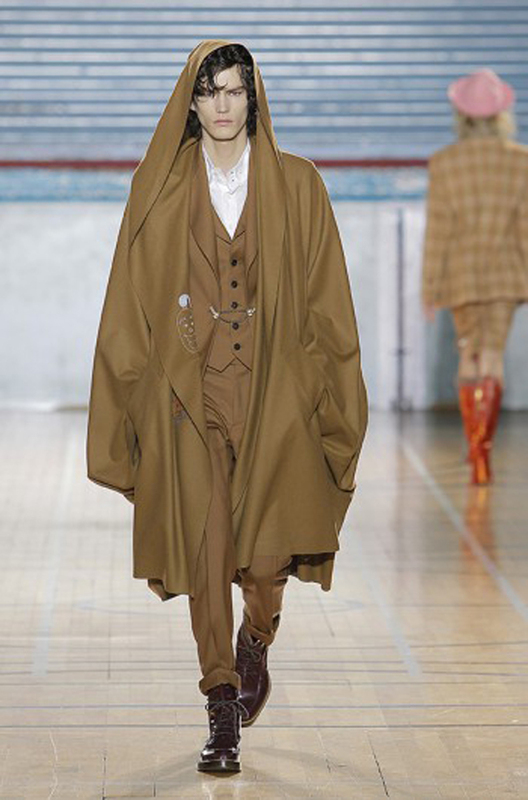 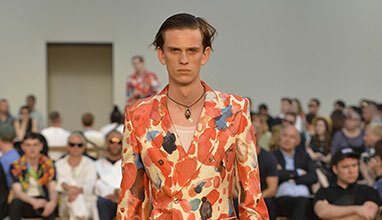 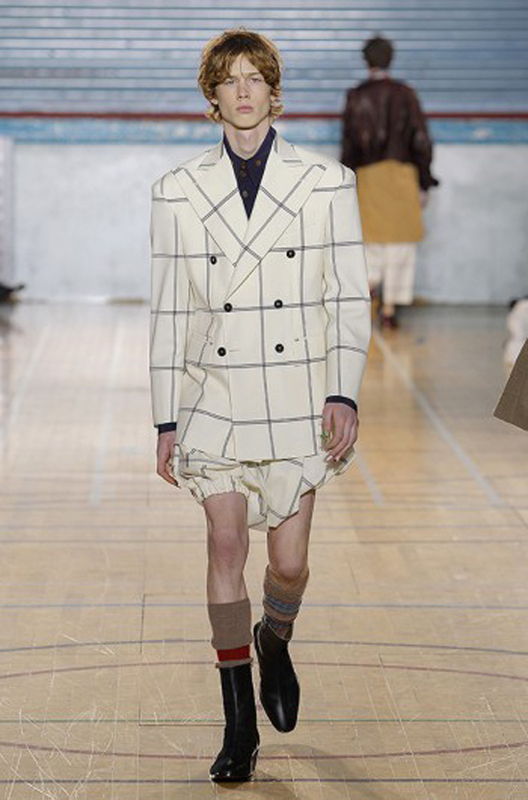 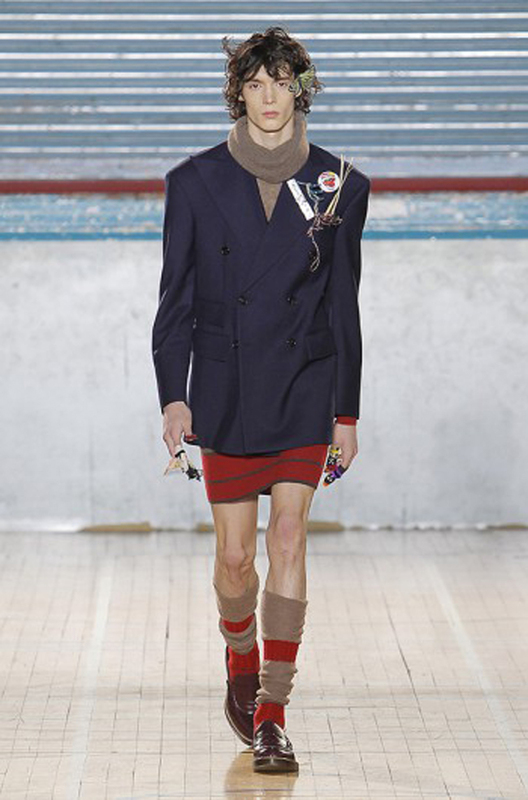 Vivienne Westwood closed London Fashion Week Men's with a show in a grand London gymnasium. 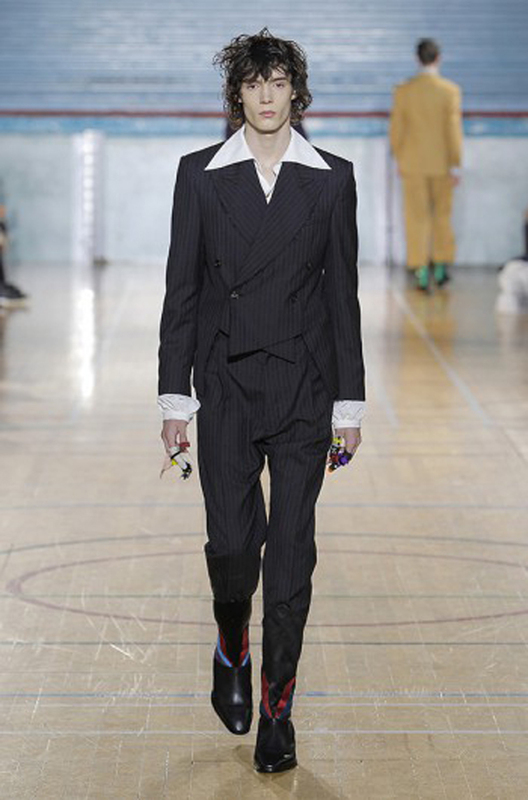 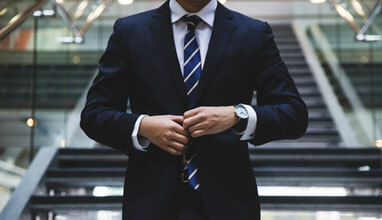 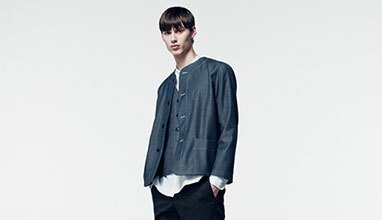 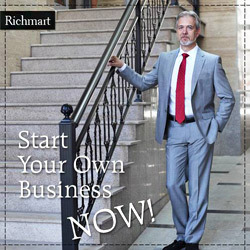 Both men and women wore more of that broad-shouldered double-breasted tailoring with gender conventional attire below the belt. 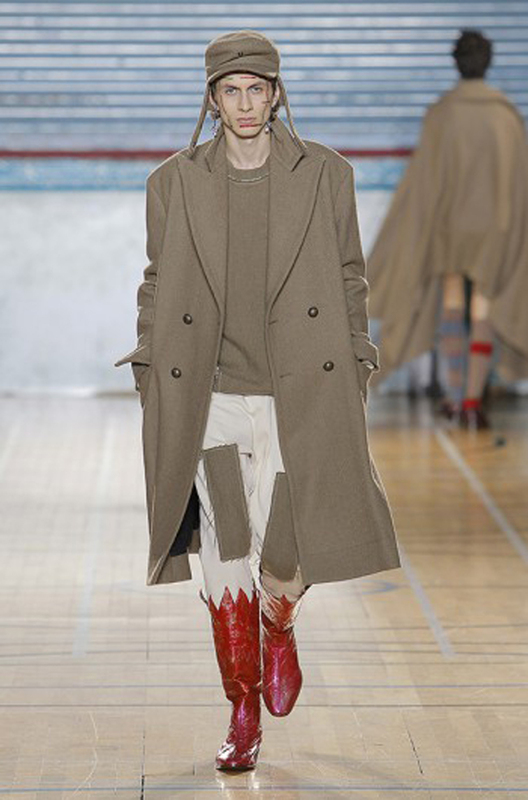 This silhouette, particularly when teamed with wide, not-quite-full-length pants and the zigzag pixie–meets–cowboy boots that shod many looks, provided a powerful reminder that while other hotly au courant designers have been working a similar seam recently, Westwood did this way before anyone. 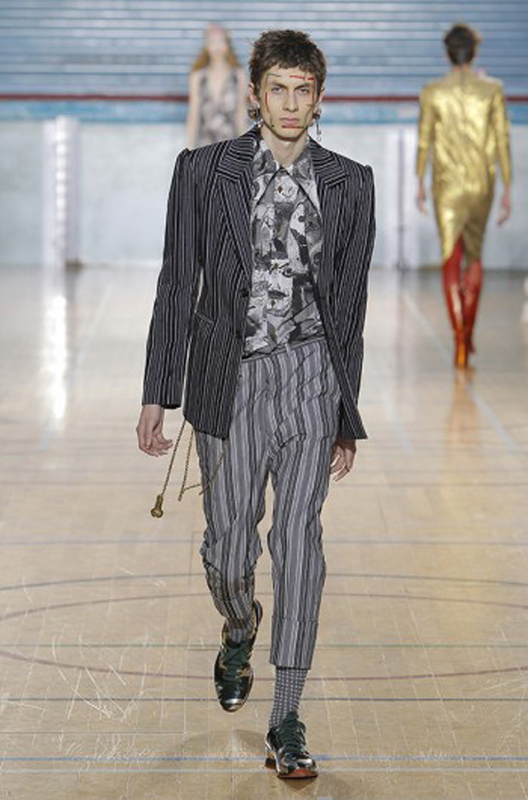 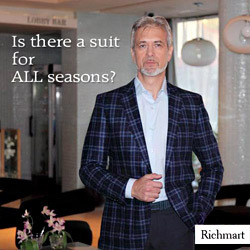 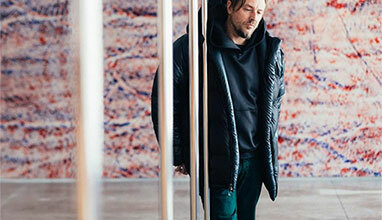 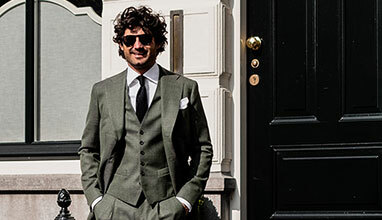 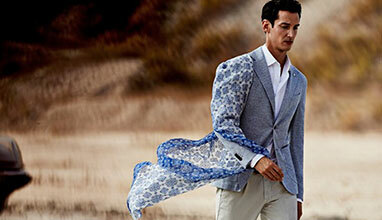 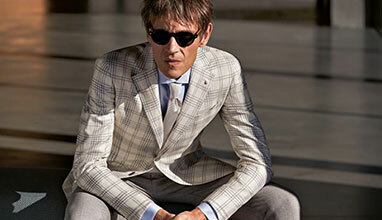 This tailoring sometimes came accessorized with phallic totems: jeweled or metallic balls on chains.